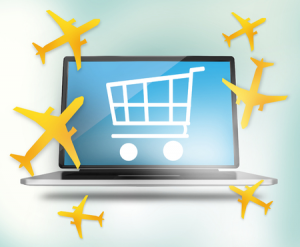 Is Online Shopping the Way You Travel? I was at the Nordstrom shoe department with my granddaughter, Katie. There were two young girls trying on shoes, and I am sure, trying the patience of the nice young salesman. After 30 minutes and a pile of boxes, the girls said “we need to go home and talk to our Mom and then we will buy online”. I saw such dejection in the nice young salesman. Another lost commission. I know there are pros and cons to online shopping…Even my neighbors buy their groceries from Amazon.com, and my grandchildren buy a lot online. But for travel – is online shopping the best idea? As their travel agent, I just booked some international airline tickets in business class and saved about $2500 per person over the online sites. As you know, there are many ways to see the world. Not all of them are right for you. A Certified Travel Agent can give you a lot of information that will answer a lot of questions and help you plan the best way for you to experience it. Not all online travel sites are legitimate. I saw something a while back, that most people are now aware of… Some people believe buying cruises from Orbitz, Travelocity, etc. gives them better pricing. But, unbeknownst to the average consumer, those companies do not sell cruises, but merely pass the booking through to an “order taker”. You will never get personal help from them. They didn’t know that the ship wasn’t good for children and they had their whole family onboard. The didn’t know the ship from Seattle didn’t go through the inside passage and spent a day and a half at sea up and back. They picked the wrong shore excursions for what they wanted. All of these things a Certified Travel Agent would have addressed before the booking. Go ahead and buy your books online, but for travel, talk to a warm and knowledgeable Certified Travel Agent who will be by your side all the way.